CAREER HIGHLIGHTS: David has been a brand executive at PSA Group since 2012, leading product development and marketing strategy for the new Peugeot 3008 and 5008 SUVs. 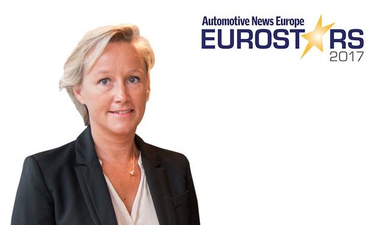 She began her career at PSA in 1996 in market research and has held the post of project manager for future products, including the Peugeot 208 and 2008. REASON FOR WINNING: Peugeot jumped into the highly competitive compact SUV segment last autumn with the new 3008, which was previously a minivan. The more-aggressive redesign paid off handsomely: The five-door 3008 was named 2017 European Car of the Year. Car buyers also gave the 3008 an enthusiastic reception. It sits comfortably in the top three in its segment with a sales volume of more than 84,000 units in the first half of 2017.